You may have looked at our title and asked yourself what is Motivational Magic? Motivational magic is the blending of exceptional magical entertainment with the teaching of time-tested achievement skills. Combined, it becomes motivational skills training that engages your group. Let’s be honest about business training. Most trainers bring little new to the table. 99% of the info passed on can be found in material delivered 50 years ago by the great teachers of that time. What really changes is the presentation. Gene Urban is a warm, engaging presenter. He’s also a world-class magician with a solid business skills training background. Firms including Microsoft, Hilton Hotels and Parke Davis Pharmaceuticals wouldn’t use him if he was an airhead. Post seminar feedback is always positive about both the content and delivery. The result is attendees learn a bit and are glad they came verses feeling they wasted valuable time. Productive Illusions looks at how expanding our belief systems helps us be more productive. 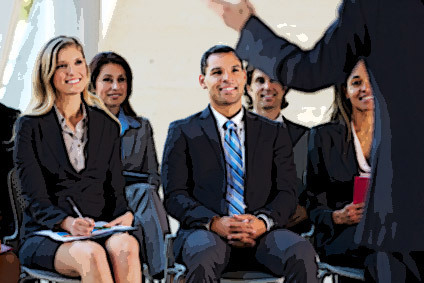 Presentation Skills Training provides powerful speaking skills training to your group. Gene has an extensive speaking background with over 6000 presentations delivered. His knowledge of impactful ways to move an audience is well known. USC, Loyola Marymount University, Arizona State University are among the institutions who utilize his knowledge to empower their students.